The game revolves around the ninja trying to move location-to-location, either disarming enough alarms before assassinating the shogun or by killing all the samurai, in order to win. The samurai are trying to kill the ninja or notice them enough in order to catch them. * Please note: there is no notepad in this Tabletopia version, so for those of you playing as ninja - be honest. 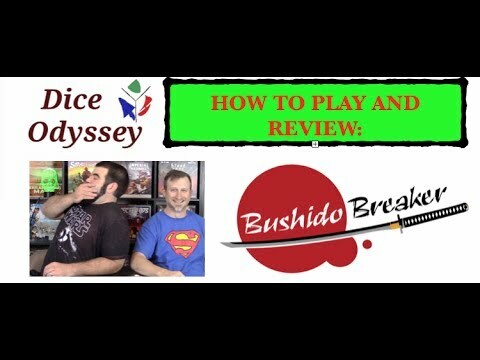 "* As we broke out Bushido Breaker and began to get into it, my reaction quickly went from ‘This is cute’ to ‘This is clever,’ and finally to ‘This is devilishly good.’"